Leaking radiators can do more than just reduce a truck’s fuel economy. They can also lead to low power, engine overheating and substandard emissions due to damaged hoses, head gaskets, thermostats, sensors, EGR coolers and diesel particulate filters. And that can mean more unplanned downtime and expensive repairs, all of which could sideline one of your drivers from their next job. Since warmer temperatures outside can lead to higher temperatures under the hood – and create a greater strain on a truck’s engine cooling system – now is the ideal time to inspect your fleet’s radiators for leaks. Examine the framework around the radiator to make sure it hasn’t come loose due to vibration or wear. A loose framework can allow the radiator core to flex, leading to tube failures. Look for coolant droplets around the tank. On aluminum / plastic radiators, this could be caused by stress cracks on the plastic tank itself or joint failure between the tank and aluminum header / core. Plastic housings can also crack if the longer-side tank bolt is accidently installed in the top tank bolt location. On metal tanks, leaks are most commonly found at the joint between the tank and header. Check for rust or discoloration on the radiator and surrounding parts. Leaking coolant can cause metal components to rust, so even if you don’t see an active leak, a high concentration of rust can indicate a hidden one. Examine the hoses, clamps, gaskets and radiator cap for damage, cracks, leaks and tightness. A collapsed or spongy hose can stop the flow of coolant and cause your engine to overheat, while loose or broken clamps, gaskets and caps can affect cooling system pressure levels. If you find a leaking hose or tank, don’t stop there. Instead, keep checking the rest of the system for additional issues. Often, leaks can occur in multiple places, and it’s important to fix all of them at once to restore your engine’s cooling system to full power. While it can be tempting to plug a leak using stop leak or even duct tape, these fixes are temporary and can actually cause bigger problems down the road. Instead, schedule a service appointment with the trusted experts at your local Mack dealership. 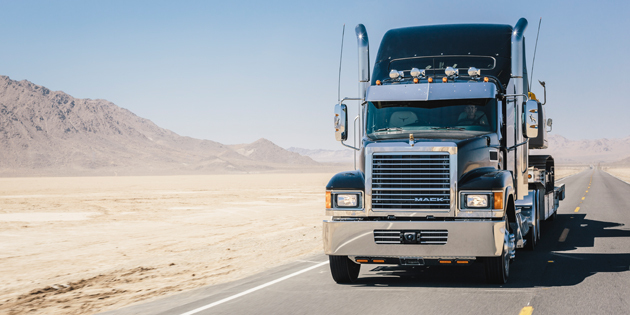 Or, order a Pure Mack replacement radiator or related components direct from the SELECT Part Store™ and have them delivered right to your door – usually within 24 hours. Ask your dealer for more information.